Mustang Full Motion simulator in Scottsdale Training Center. Classes begin in July! SIMCOM Aviation Training is pleased to announce the addition of a new Citation Mustang full flight simulator. The SIMCOM manufactured simulator allows instructors to accurately simulate emergency situations and a variety of meteorological conditions. The simulator is located in SIMCOM’s Scottsdale Training Center. 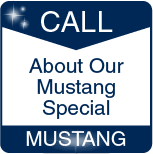 In celebration of the launch of the Mustang program, SIMCOM is offering preferred customer pricing through the end of 2018. Please contact our Training Advisors for more information.